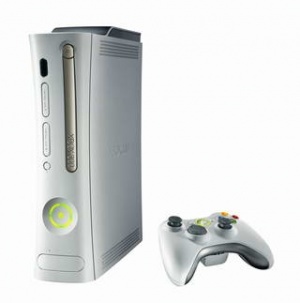 Late last month, Microsoft was partying and releasing celebratory press releases to commemorate a landmark that many were surprised to discover had not been passed a long time ago: the Xbox 360, after three years on the market, has finally surpassed the 24 million sales of the original Xbox. With all these advantages, it's curious that the take-up rate of the 360 has been only slightly above the curve of the original Xbox. A look at that list begs the question - why aren't more people buying the 360? Could the Red Ring of Death, the failure to break the Japanese market in a meaningful way, or 12-year-old Xbox Live racists be the problem? Or is this even something we should consider a problem to begin with? The question isn't about what this means for Microsoft, which is generally meeting the targets it has set for itself and is turning its operation into a much sleeker, more profitable - and more importantly for us - much more entertaining one. The question is what it means for gaming in general. To wit: who is buying our machines, and for what purposes - and will they continue to do so? The sales of PS3s have yet to set the world alight, and while the console is performing respectably, Sony is going to need every year of the ten it has set aside if it doesn't want the PS3 to lead to a massive loss of market share. At an equivalent stage of the previous generation, three years from launch, the PS2 had sold 60 million consoles - and it was only just getting into its stride. Only the Wii has any hope of coming close to the PS2's massive install base, and from where we stand now, it is questionable whether the combined sales of the 360, PS3 and Wii will ever equal the 190 odd million units from the previous generation.